In March, longtime New York Times journalist John F. Burns retired after a four-decade-long career. 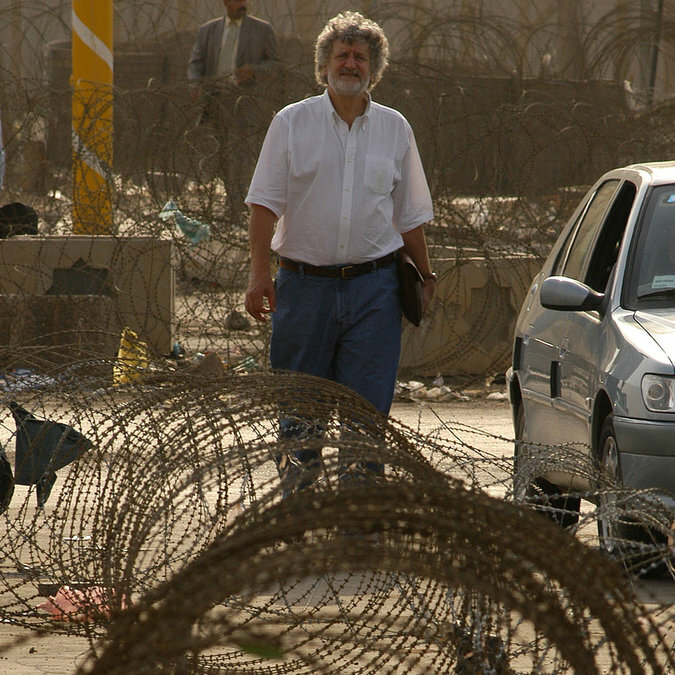 As an international correspondent, he covered apartheid South Africa, Iraq during the 2003 US invasion, and several other countries across multiple continents. He wrote over 3,000 articles and earned a pair of Pulitzers for his coverage of Bosnia and Afghanistan, respectively. In a farewell article entitled The Things I Carried Back, Burns reflected on the lessons he learned from a career that exposed him to countless thousands of individuals from all corners of the globe, each with their own perspectives. In particular, he was often assigned to locations he called the “nastiest places in the world,” where he gained a unique outlook on how totalitarian states molded the minds of their citizens. Elaborating on the “nastiest places” to which he traveled, he noted how each country he visited was “fraudulently dressed up, in their enveloping propaganda, as something entirely different, and benign. What those years bred in me, more than anything else, was an abiding revulsion for ideology, in all its guises.” After forty years of exposure to authoritarianism, Burns developed a first-hand understanding of how propaganda and ideology can make even intelligent citizens loyal to an oppressive regime. Pondering those four decades, Burns stated further that his “experience has been that when it suits the ends of power, ideology can be invoked to prove that 2+2=5, or 3, or any other number that suits the state, and to demand that all embrace the madness.” Closely coinciding with ideology is state oppression, as the former was needed to maintain the stability of the latter. From historical examples, such as Wernher von Braun’s work with rockets in Nazi Germany, to more recent examples Burns experienced firsthand such as Mao’s China in the 1970s and apartheid South Africa in the early 1990s, it goes to show that even the brightest minds are not exempt from the effects of oppressive regimes. However, these most oppressive regimes do not possess a monopoly on harmful ideology. Burns noted that such ideologies carry over to the Left/Right dichotomy that dominates American politics. He identified the “Widespread propensity…for people who lack the excuse of brutal duress that is a constant in the totalitarian world to fall sway to the formulaic ‘isms’ of left and right…that excuse, and indeed smother, free thinking.” Compared to the aforementioned examples of China and South Africa, the oppression of the Left and Right wings are scarcely different from one another, and merely give American politics the illusion of being simply a matter of good versus evil. Indeed, free thinking is squandered by the two-party system in America. Instead of unique perspectives, political arguments often boil down to one talking point or another on each issue. The most relevant example for libertarians today is the issue of gay marriage, where most libertarians would disagree with the mainstream Left as well as the mainstream Right. While the Left argues for state-issued marriage licenses for both gay and straight couples, and the Right argues for heterosexual marriage only, while libertarians insist that government disassociate itself from interference in marriage altogether. In this case, libertarians benefit from having a different view, but the average person often feels the need to pigeon-hole themselves into one camp or the other. Although this is perhaps the most obvious example, almost every issue suffers from a lack of intelligent debate when its complexities are oversimplified into simple dichotomies. Burns does not fit the libertarian stereotype of a “rich white college kid” that many detractors use to dismiss libertarian arguments. In fact, he doesn’t even explicitly profess any libertarian affiliations. Rather than coming to his beliefs through books, speakers, or some other traditional route, Burns reached pro-liberty conclusions through four decades of on-the-ground exposure to authoritarianism as a journalist. Burns’ motivation to write his final article about ideology stemmed from an inspirational quote he heard a decade earlier while he was in Italy. Burns was in the audience of a speaking event with a number of people from a smorgasbord of respected professions to listen to a writer named Tiziano Terzani, who was suffering from terminal cancer. Like Burns, Terzani travelled often, and was a journalist with a 40-year career with the German magazine, Der Speigel. During his speech, Terzani remarked, “Never forget: It’s not how far you’ve traveled, it’s what you’ve brought back.” This comment resonated with Burns, as he was also retiring from a similar career during which he had been to many of the same places as Terzani, and even shared an oncologist with him in the 1990s. According to Burns, the most significant thing he brought back was his “abiding revulsion for ideology” and the ways it makes citizens of all beliefs and levels of intelligence blindly accept the professions of state leadership. While Burns is retiring, many in the liberty movement are graduating or finishing a year of school. It is up to us, the youth of the liberty movement, to carry forward what the previous generations have brought back. Foremost among these things is a reverence for liberty that will turn the places that Burns and Terzani visited into places where tyranny ceases and liberty flourishes. These will be the things we carry forward. Next Post: Should Texas Millennials Support Planned Parenthood?